Supplying petroleum testing equipment worldwide – since 1930. ISO/IEC 17025 calibrations and a full range of glass thermometers now available. Learn more about our newly expanded Class I, Division 2 offering. Great engineering leads to high quality equipment. Security sealing devices provide evidence of tampering of piping and fittings. 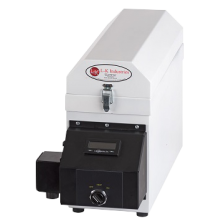 L-K Industries is a leading U.S. manufacturer of oil centrifuges and related petroleum sampling and measuring equipment for the crude oil/petroleum, petrochemical, hydrocarbon, agriculture, food processing and medical industries. Our most common equipment includes portable and laboratory oil centrifuges, sample heaters, glass centrifuge tubes, glass thermometers, glass hydrometers, gaging tapes and oil thiefs. Our original Melton Oil Centrifuge was first manufactured in 1957 and became the basis for ASTM standards still relevant today. Each L-K product conforms to ASTM (American Society for Testing & Materials) and API (American Petroleum Institute) standards. Our motto is “Demand a Higher Standard”. We strive daily to design, build and maintain products to the highest standards possible. 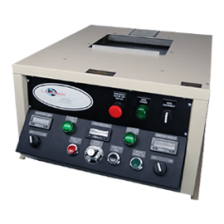 We manufactured the first Class I, Division 2 certified laboratory centrifuge. This classification ensures safe operation in hazardous locations. With the acquisition of Miller-Weber of Texas and relocation of the ISO/IEC 17025 accredited laboratory, we now calibrate glassware and equipment in-house. To design the best oil testing equipment for the petrochemical industry, technical expertise is required. From our production team to our CEO, everyone in our organization contributes to our “team engineering” approach. Since our formation nearly 90 years ago, the company has evolved from originally manufacturing pumps and valves to serving a much wider array of petroleum and laboratory customers. As we move forward, the company will continue to build on its rich history and look for opportunities to grow. Innovation is at the heart of what we do. In 2017, the company pioneered two new online platforms which will bring more traceability and quality to customers. 2018 will allow us to build on this momentum and help us to continue bringing the best oil testing equipment to the industry. 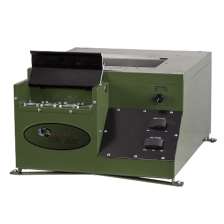 Number of Class I, Division 2 products offered by L-K.
L-K Industries offers a full range of ETL listed, Class I, Division 2 certified and CSA-approved equipment for basic sediment and water (BS&W) testing. When you put your trust in L-K for CID2 equipment, rest assured that you’re getting the best in the industry. LK Industries takes great pride in building high quality products. View our whole range of products. LK industries offers a wide range of accessories and parts that can be ordered. Innovative upgrades and new products are coming soon! Development division that is responsible for the design, development, testing, and continued improvement of LK’s oilfield technology. Determination of Water and/or Sediment in Crude Oil by the Centrifuge Method (Field Procedure). Standard Guide for Sediment and Water Determination in Crude Oil - Active Standard ASTM D4007. Intertek is the industry leader with over 38,000 people in 1,000 locations in over 100 countries. As an international supplier, L-K Industries has developed several distribution partnerships to ensure that our products are accessible around the world. Click below to find our distributors by region. Years ago we stopped using L-K products. They came back to us seeking feedback and really listened. Today, we are committed to using L-K Products and value their focus on customer service. We switched our entire fleet to L-K in 2007 and have been very happy. L-K gets it done and gets it done on time. We sell every centrifuge we get from L-K… L-K’s quality and price is the best.